In this post we'll discuss 3 use-cases in which we want to retrieve runtime information for some generic parameters. In all three of the following use-cases, our goal is to retrieve the runtime information for the generic type parameter T.
the information about T being an Integer is lost at runtime a.k.a type erasure. It can be rather unfortunate if one was counting on applying some type specific logic in his code, that is, if one was planning on executing different logic depending on the type of the generic parameter at hand, e.g., if T is Integer, do this, if T is MyClass, do that. That will simply not work, a.k.a bummer. while this may help getting the generic types' info, it is hardly a good solution as it pollutes the class with a bunch of per-generic-type methods, that need not be present. The same information can be extracted by properly using reflection. So, to sum up what we've discussed so far, in Java, runtime info for generic types is unavailable, but, declared type info is. Getting back to the use-cases above, (1) is supported, while (2) and (3) are not. // will print "java.lang.Integer", sweet! 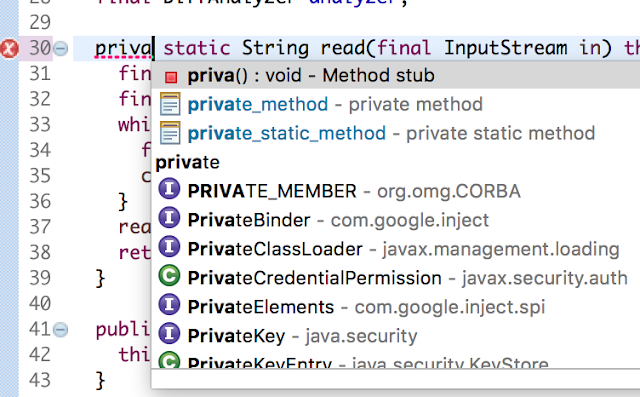 new GenericInt // prints out "class java.lang.Object", hmm...? new GenericInt  // prints out "class scala.Int"
Which gives us a way to figure out the generic types' info in use-case (1). Come to think of it, unlike use-cases (2) and (3), in (1) the generic types are already known at compile time. Wouldn't it be nice if we could leverage it somehow? println(runtimeClassOf[T].getCanonicalName) // prints out "int"
The thing to note here, is that we start off with only the class' name "classOf[GenericInt].getCanonicalName" (in a string from), and by using the visitor pattern "instance.visit(new GenericVisitor)", we bind its generic parameters in a way that is type-safe at compile time, such that inside the visitor's visit method we're type safe, and have information about the generic parameter available to us - that's a long way to go from a string! For the final trick, let's take things even further and invoke the visit method itself using reflection, and thus eliminate the need to have it present in the visited class definition. // effectively: "(new GenericVisitor).visit(new GenericInt)"
To sum things up, in this post we've discussed three cases where runtime information is required for generic type parameters. Some of these uses cases are not well supported in Java, while Scala provides tools to deal with all of them. We showed how these use-cases can be dealt with in Scala, and showed how the visitor pattern can be helpful for this purpose. Finally, we also saw how the visitor pattern can be implemented using reflection, which allows one to remove the explicit presence of the "visit" method in visited classes. Reflection is by no means trivial, let alone in Scala, but given proper usage it can be a very powerful tool. Many thanks to the authors of the highly informative questions and answers in stackoverflow, referenced in this post. Not having all this info available would have made writing this post so much harder. Fixed the ClassTag building method, which had a bug that was caused by doing "genericParams.map(param => ClassTag(Class.forName(param.typeSymbol.fullName)))" instead of "genericParameterTypes.map(runtime.runtimeClass).map(ClassTag(_))" and thus losing some important type info.